ABSOLUTE WATERFRONT. Renovated Boat Shed with large private jetty, marina & decking on Huskisson Village foreshore . Cosy Accommodation for couples. Brand new apartment: Brand new quality furnishings and inclusions. Enjoy the view over the water from the balcony and living areas. 2 outdoor areas both with outdoor settings and one area with BBQ. 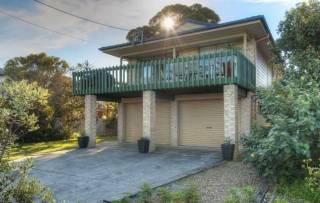 This spacious modern contemporary designed apartment is located in the heart of Huskisson. 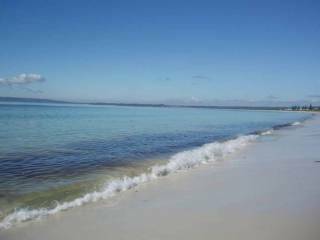 Overlooking shark-net beach, Jervis Bay, white sands park as well as the cycle and walking path sweeping the white sand shores of Jervis Bay. The villa is tastefully decorated with a modern interior and furnishings, great for couples and families. The walking and cycle path that sweeps the shores of Jervis Bay is just steps from the front door. Metta is a funky beach house nestled between the beach, bush and creek in spectacular Jervis Bay. This beautiful former artist's retreat has been redesigned into a stylish 4 bedroom home. The perfect place to connect with nature, friends and family. Jervis Bay is one of the most beautiful places in Australia, and "Myaree" is our stylish and secluded beach house, nestled amongst the trees in peaceful Myola. Here you can relax in a beautiful and uniquely designed space, a short stroll from the ocean. 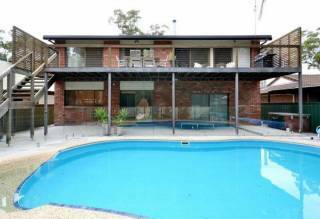 KALAAL COTTAGE is a three bedroom holiday house plus converted garage/sleep out 2 minutes walk from the beautiful white sands of Callala Beach. 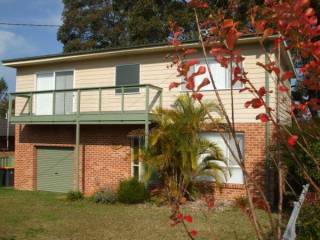 Treetops is a spacious, family friendly house lying within 2 minutes walk of St. Georges Basin. The property is conveniently located on a quiet residential street, Ideal for large groups, there are 4 bedrooms sleeping 11 persons in total. 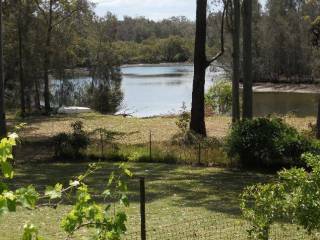 Self contained studio, waterfront and surrounded by trees, wildlife and birds. 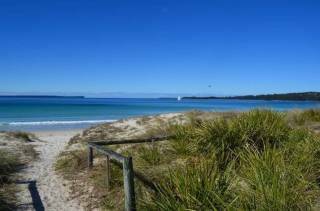 Only minutes from huskisson beautiful beaches, shops and cafes. With sweeping views of spectacular Jervis Bay, and beautiful Barfleur Beach on its door step, Retro Sands Beach House is the perfect place to stay whether it be short or long term. 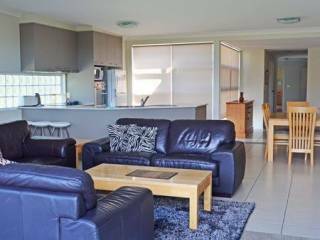 Water views over beautiful Jervis bay, renovated 3 bedroom fully self contained beach house it has everything you need for a great holiday. 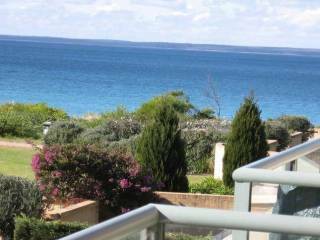 This modern well appointed apartment has a beautiful view out across Jervis Bay. It is ideal for a couple for a romantic getaway, or if you have children or a pet and like a personal, and very comfortable place to stay. Beachside is located directly opposite the beach on beautiful Plantation Point Vincentia. The house sleeps up to 8 persons in 3 bedrooms with 2 bathrooms. 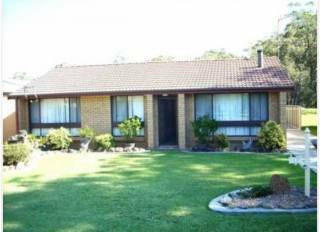 This superior beach front Jervis Bay accommodation offers panoramic 270 degree views over Callala Beach and Jervis Bay and is only 50 metres from the beach. Watch the occassional whale, resident dolphins and boats from the wrap around balcony. This is a 2 storey Holiday house for up to 8 persons. Displaying 1-20 of 38 results.